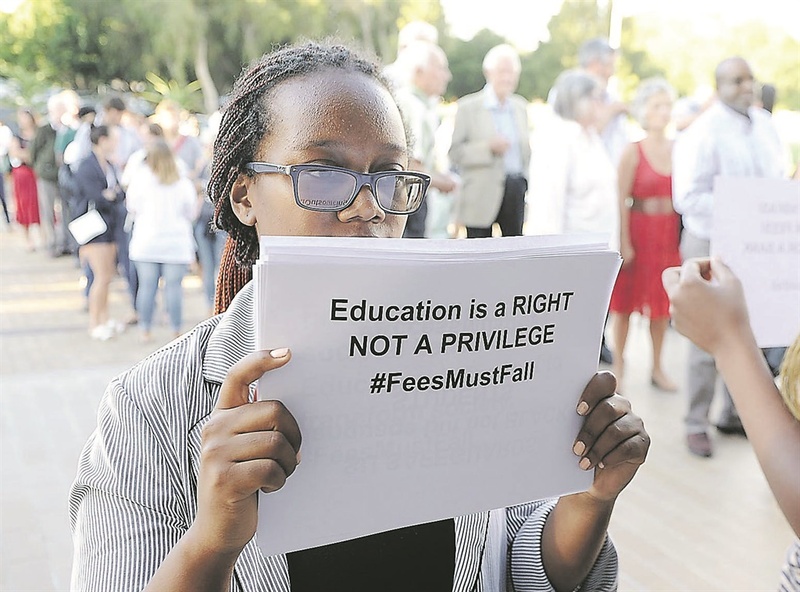 Stellenbosch University’s law faculty has announced that all its lectures will be held primarily in English, but the move has been eclipsed by the decision by the university’s convocation to elect an all-white executive committee yet again. Nearly 2 000 alumni and their partners attended Stellenbosch University’s annual convocation on Tuesday, which elected five convocation members, including to the positions of chair, vice-chair and secretary. Five black alumni have for the past few months been running a campaign to get at least one of them elected to the committee in a desperate push for transformation under the #transformconvocation. The black alumni were up against AfriForum, which, along with two founding members of the Afrikaanse Alumni-Vereniging, Hermann Giliomee and Piet le Roux, sounded the call for Afrikaans alumni to attend in their droves, leading to a sea of silver and bald heads outnumbering a young, diverse group seated on the outskirts of the hall. One of the black candidates, Nigerian-born political sciences master’s graduate Lovelyn Nwadeyi, delivered the address of the night, titled Courage, Compassion and Complexity. Nwadeyi spoke frankly about race relations pre- and post-apartheid, and wasted no time in calling out Stellenbosch University as the birthplace of formal apartheid, the remnants of which, both physical and psychological, still tainted the campus that many black people are part of today. She also made reference to places on campus that still celebrate apartheid leaders. The hall in which she spoke, also a venue for graduations, was until very recently still named the DF Malan Centre, under whose presidency apartheid was conceived. One person in the audience started clapping his hands at the mention of Malan’s name. A member of the audience raised a point of order after Nwadeyi’s speech, saying it was not the purpose of convocation to “push political agendas” and “be sensational”. The outgoing chair of convocation, Christo Viljoen, however, quickly called the member to order. The second speaker, poet Breyten Breytenbach, was more popular with the older members present as he defended the university’s role in protecting Afrikaans as a language of instruction. The previous day, the law faculty in an extraordinary board meeting voted to make English the primary teaching language during lectures. “According to a decision by the faculty board, all concepts will be presented in at least English in lectures, with a summary of and emphasis on key concepts in Afrikaans,” said Professor Sonia Human, dean of the faculty of law, in a written statement. This could include the option of an introduction in Afrikaans and ending a lecture with a summary in Afrikaans. This is despite what was viewed as a pushback from council last year when a discussion document proposing that English be made the primary medium of communication and instruction across the board surfaced. The council voted that the current controversial policy would remain the same and that the current Afrikaans offering be increased. When City Press called the chairperson of the council, George Steyn, for comment, he refused to speak and then killed the call. An Afrikaans-speaking journalist from City Press then called to ask for comment, and Steyn said that the council ratified the decision last year, but added that he did not know enough about the implications of it to comment. He also said the council would next meet on May 9. The language issue was at the centre of Nwadeyi’s address. She lost the position of vice-chair, by a mere 15 votes, to Jacques du Preez’s 309 votes. The other black candidates lost by a large margin. Is convocation’s all-white executive committee an indication that there is still a reluctance towards transforming the university?